Southern Utah is home to some of the largest lava fields we've ever seen. Compared to journeying through a scree field in the Sierras, the lava fields are a welcome sight. They craft a unique environment where oddly nature flourishes. "Molten Yellow" is the story of nature finding a way to survive. 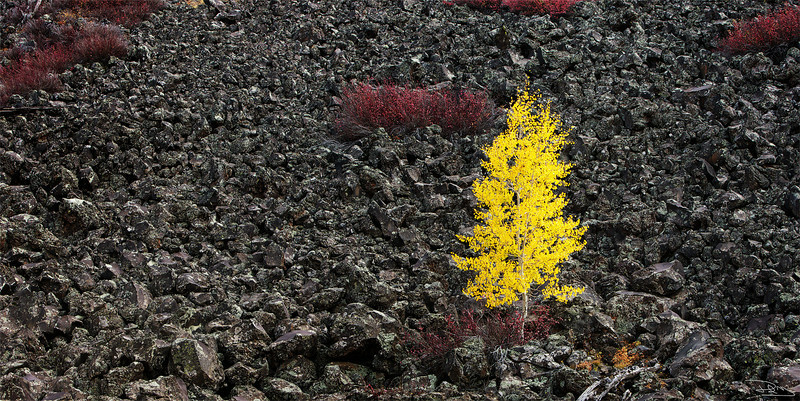 Amidst the black molten lava rocks, a spectacularly brilliant aspen thrives and displays its color proudly.